As per the law suit filed by Justyn at the Rockingham Country Superior Court the cash box has caused serious injuries to his foot and the cash box was kept there to hold chips. 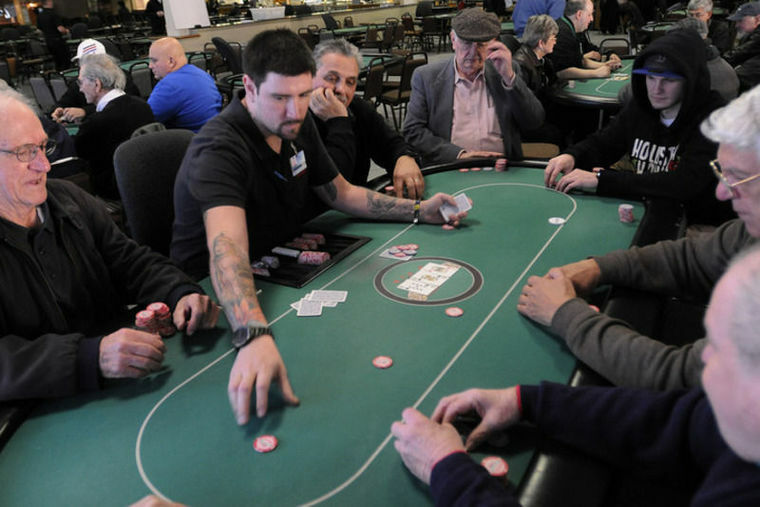 The accident happened in the Poker room of Rockingham Park during one of the daily tournaments. The player was in the tournament and the cash box somewhat got loosened and fell on his foot. Tyndall claimed that he was in severe pain after the cash box came down on his foot and he has witnesses who would vouch for the incident. According to the case filed by him, Justyn has suffered emotional distress, disfigurement, partial disability and loss of earnings. Justyn says that the end result is a series of medical expenses and possible discomfort in the future and that is due to the “permanent and serious injuries” suffered by him at the casino poker room. Francis Caruso III, Justyn’s attorney despite the small size of the cash box just measuring about six inches, is angling for a jury trial and a financial compensation to cover the above expenses for the player. The Rockingham gaming LLC general manager however would not comment on it as the casino has not received any paperwork related to the lawsuit and said that he won’t be commenting on it any further. Whether the law suit will win him the case or not but if he is using the incident to earn some quick buck then he certainly may have taken the wrong course of action.